Your organic mattress is one of the biggest investments you will ever make to ensure your personal comfort and health, so it makes sense to protect it and make it last as long as possible. 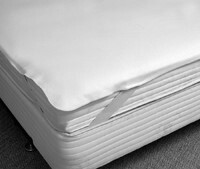 An organic wool mattress protector is made specifically for those purposes. Organic wool is a great material for mattress protectors because it prevents perspiration and moisture from damaging or staining your actual mattress. It protects the mattress from accidents and other types of stains, too. 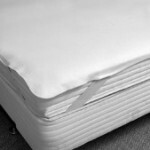 A good organic wool mattress protector is about two to.5 inches thick. Pure Northwest Oregon or California Eco Wool is used to make sure that it is completely safe for long-term use. This pad will keep you cool in the summer and warm in the winter. Organic wool is naturally hypoallergenic and it has antibacterial properties, and you can count on its superior resistance to dust mites and mold growth, making it a perfect material for mattress protectors.